My wife and I purchased this beautiful wall clock while stationed in Germany. 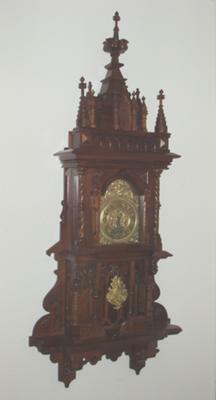 It is a Gustov Becker and in wonderful condition, runs perfectly, that is until our movers lost the pendulum, winding key and the pinnacle wood piece. 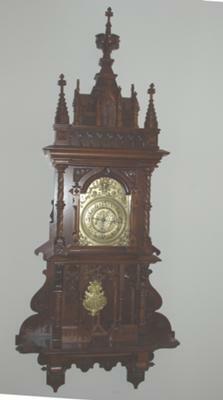 I am looking for a value for the entire clock if it were complete, value without the now missing pieces and value of the missing parts and hoping that someone has those parts for sale.